Pooh Bear's got a brand new book, baby. The world's favorite "silly old bear" is back. Publishers in Britain and the United States said Friday they will publish a new book of Winnie-the-Pooh adventures on Oct. 5. "Return to the Hundred Acre Wood" is the first authorized sequel to A. A. Milne's Pooh stories, which were first published in the 1920s. It will be published in Britain by Egmont Publishing and in the U.S. by Penguin imprint Dutton Children's Books, they said in statements. The beloved "bear of very little brain" first appeared in 1926 in Milne's "Winnie-the-Pooh," which featured E.H. Shepard's now-iconic line drawings. The book and its 1928 sequel, "The House at Pooh Corner," recount the gentle adventures of Christopher Robin — the sole human character, named after Milne's own son — and his animal friends in the Hundred Acre Wood. "The House at Pooh Corner" ends with Christopher Robin heading off to boarding school, separated from Pooh, Piglet, Eeyore and the rest of his woodland companions. The publishers would not disclose details of the sequel's plot, but Benedictus said he hoped his book would "both complement and maintain Milne's idea that whatever happens, a little boy and his bear will always be playing." 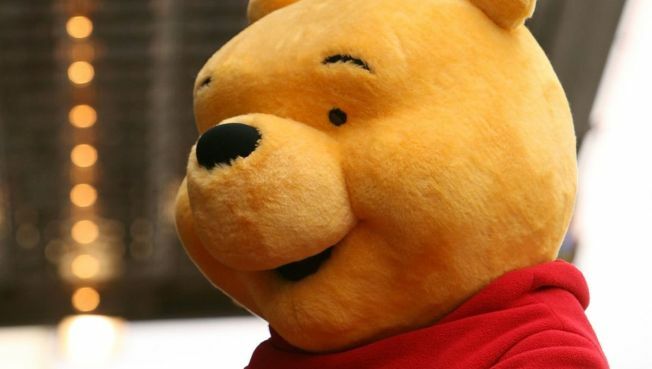 Michael Brown, who speaks for the books' guardian the Trustees of the Pooh Properties, said the Milne and Shepard estates had long wanted to authorize a sequel. He said Benedictus and Burgess had "captured the spirit and quality of those original books." "We hope the many millions of Pooh enthusiasts and readers around the world will embrace and cherish these new stories as if they had just emerged from the pen of A. A. Milne himself," Brown said. For an unassuming stuffed bear, Pooh has proved a highly lucrative character, with a tangled legal history. Milne's books have been translated into more than 50 languages, including Latin. Slesinger, Disney and Milne's granddaughter have fought long-running legal battles in the U.S. over the rights.